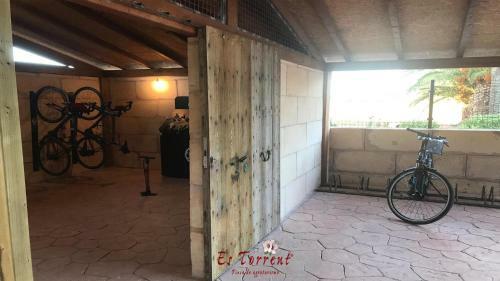 Finca Es Torrent in Campos is a country house with 3 Rooms. 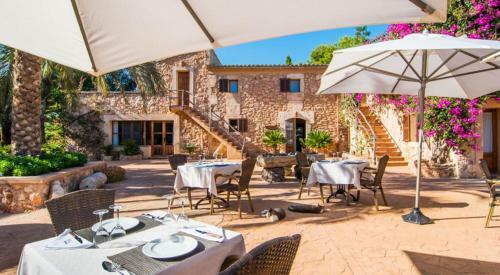 Surrounded by green gardens with an outdoor pool and charming terraces, Finca Es Torrent is set in the countryside, 15 minutes’ drive from Ses Covetes Beach and 6 km from Campos. 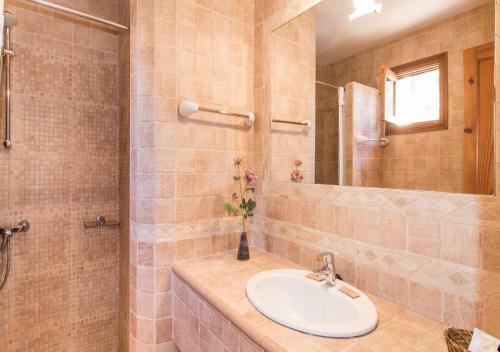 Air-conditioned rooms feature rustic wooden finishes, and come with free Wi-Fi, satellite TV, a safe and a private bathroom with free toiletries. Some rooms have a minibar and a private terrace. 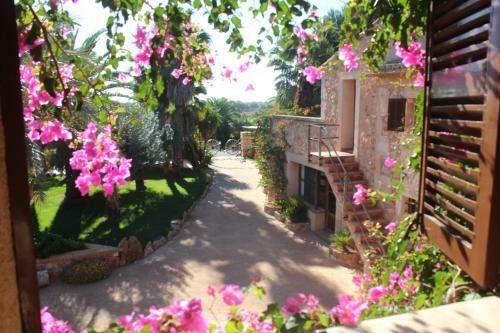 The villa also includes a lounge with flat-screen TV and a well-equipped kitchen. It offers free WiFi, and a terrace with a ba...rbecue. 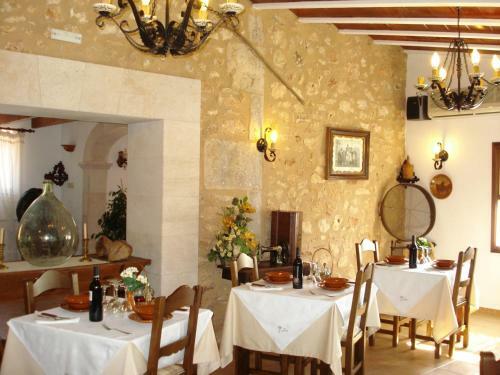 Finca Es Torrent has a restaurant specialised in Mallorcan cuisine. Breakfast and dinner are served on the lovely poolside terrace during summer. Campos also has a selection of restaurants and shops. The area offers several cycling routes, and you can go hiking in the Mondragón Nature Reserve which is 30 minutes’ drive away. Water sport such as diving, sailing, and snorkeling are also possible and Es Trenc Beach is a 20-minute drive from Es Torrent. Tourist information can be provided at reception. 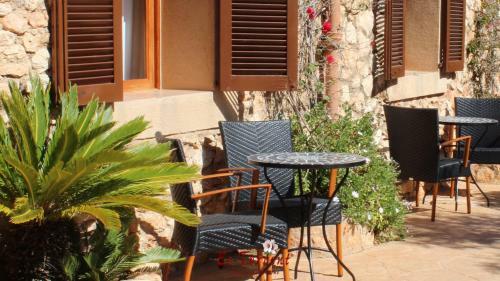 Palma Airport can be reached in 30 minutes by car and the city centre in 35 minutes. Santanyó is 18 km away. Free private parking is available at the property. 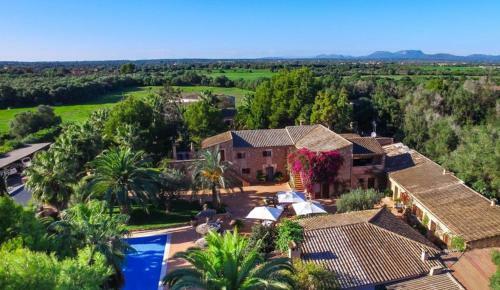 Surrounded by green gardens with an outdoor pool and charming terraces, Finca Es Torrent is set in the countryside, 15 minutes’ drive from Ses Covetes... Beach and 6 km from Campos. Air-conditioned rooms feature rustic wooden finishes, and come with free Wi-Fi, satellite TV, a safe and a private bathroom with free toiletries. Some rooms have a minibar and a private terrace. The villa also includes a lounge with flat-screen TV and a well-equipped kitchen. It offers free WiFi, and a terrace with a barbecue. 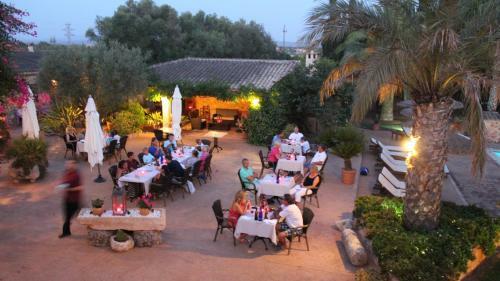 Finca Es Torrent has a restaurant specialised in Mallorcan cuisine. Breakfast and dinner are served on the lovely poolside terrace during summer. Campos also has a selection of restaurants and shops. 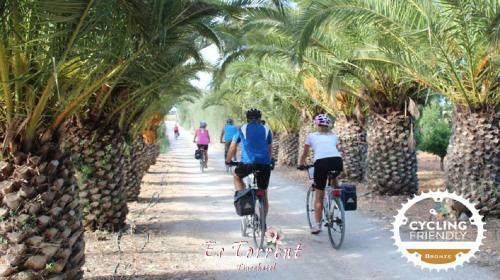 The area offers several cycling routes, and you can go hiking in the Mondragón Nature Reserve which is 30 minutes’ drive away. Water sport such as diving, sailing, and snorkeling are also possible and Es Trenc Beach is a 20-minute drive from Es Torrent. Tourist information can be provided at reception. 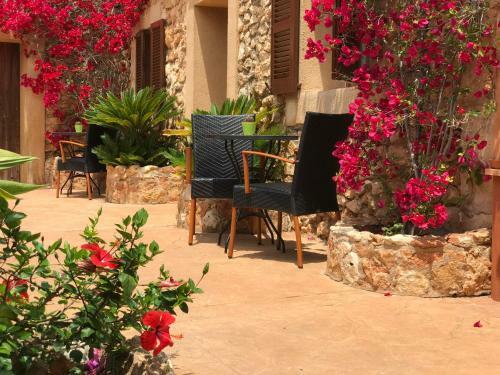 Palma Airport can be reached in 30 minutes by car and the city centre in 35 minutes. Santanyó is 18 km away. 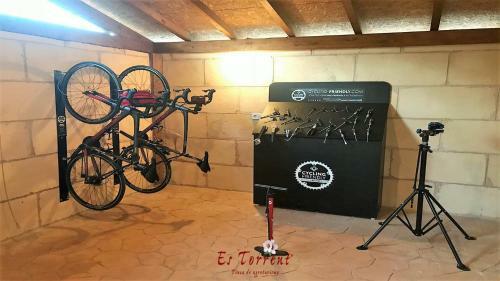 Free private parking is available at the property. 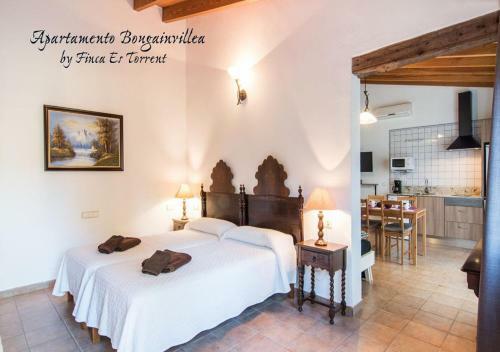 When would you like to stay at Finca Es Torrent? Children and extra beds All children under 2 years stay free of charge for children's cots/cribs. All children under 12 years are charged EUR 23 per night for extra beds. 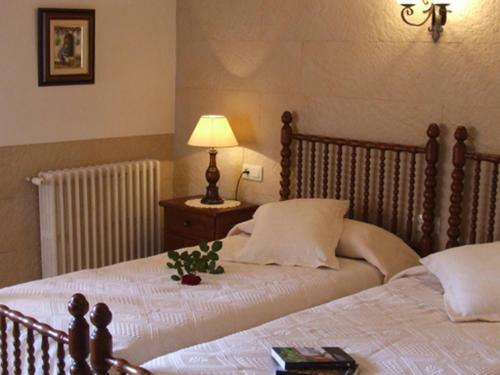 All further older children or adults are charged EUR 35 per night for extra beds. The maximum number of extra beds in a room is 1. Supplements are not calculated automatically in the total costs and will have to be paid for separately when checking out. Any type of extra bed or child's cot/crib is upon request and needs to be confirmed by the innkeeper. This property will not accommodate hen, stag or similar parties. 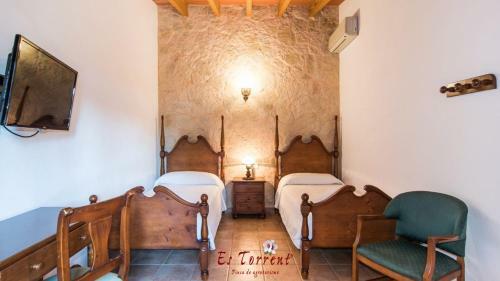 Swimming pool is closed from Sat 30 Nov 2019 until Sun 08 Mar 2020 Please let Finca Es Torrent know your expected arrival time in advance. You can use the Special Requests box when booking or contact the property. Air conditioning has the following supplements: - For the rooms: EUR 6 per day. - For the house: EUR 20 per day.